Francis Brennan extends wonderful and welcoming hospitality in this marvellous five star hotel. Luxurious rooms and suites, inspiring surroundings and exemplary discreet personal service are at the pulse of ensuring visitors enjoy the ultimate guest experience. Many of his team and colleagues have been with the hotel for up to twenty years. They are cherry picked and nurtured to provide the same warm friendly service that is second nature to Frances. Many customers are now friends and very few guests visit the hotel once, repeat business and word of mouth is testament to this. The inclusion of the Park Hotel Kenmare at the top of all international guest survey lists from Conde Nast to Travel and Leisure is also a testament to the guest experience provided. 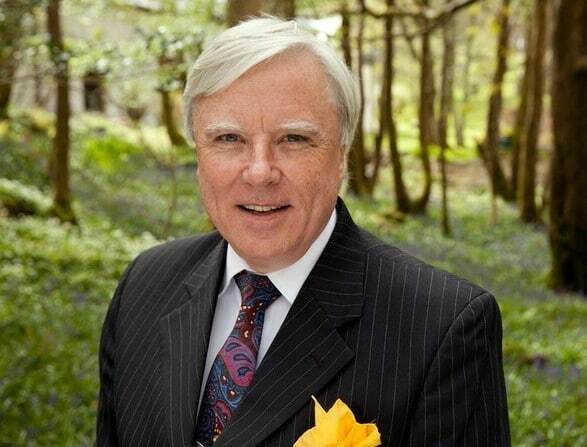 Francis studied hotel management for four years and after working in a number of properties he commenced working as a manager in the Park Hotel Kenmare in 1980, an opportunity arose to purchase the property and Francis summoned all of his entrepreneurial skills to raise the funds. Ten years later he was joined by his brother John who at this stage had also acquired up to ten year’s experience working in a variety of hotels. Both Francis and his brother John present “At Your Service” on Irish National TV and are regular contributors to newspapers, TV and radio on a range of issues from hospitality to commentary on Ireland in general. In 2014 Francis wrote “It’s the Little Things” – A Guide to life which was in the Top Three of Hard Back Non Fiction Books for 2014.